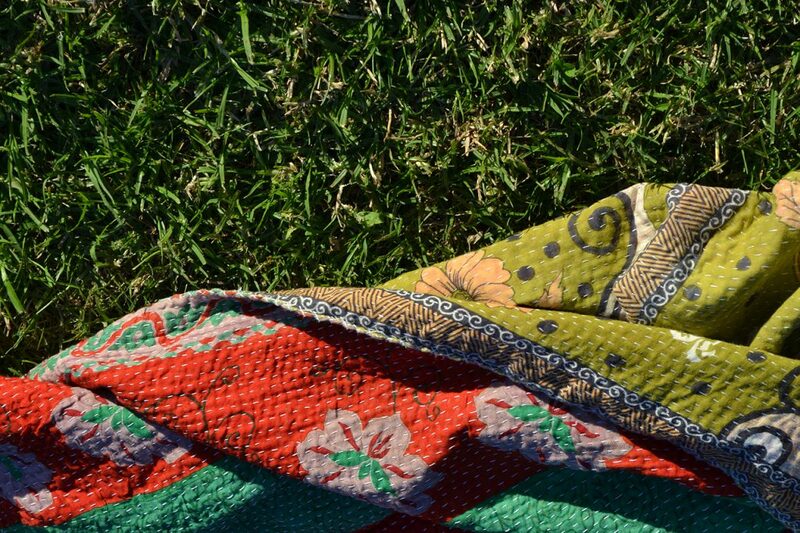 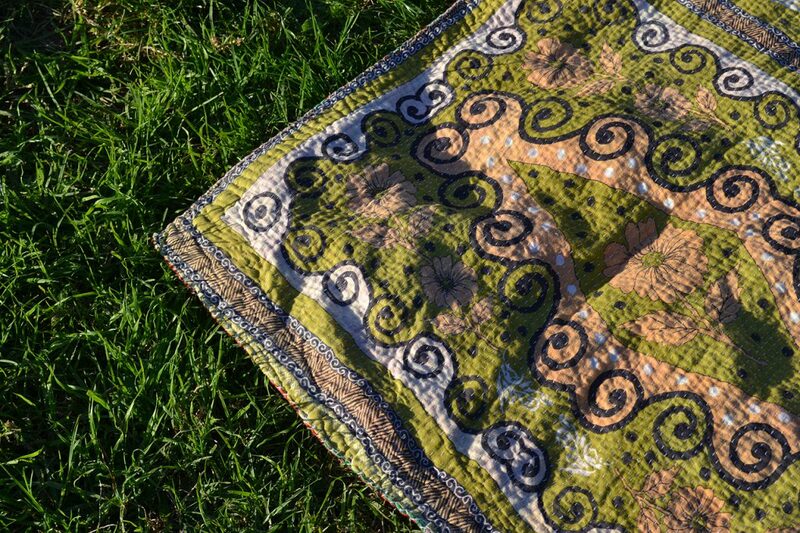 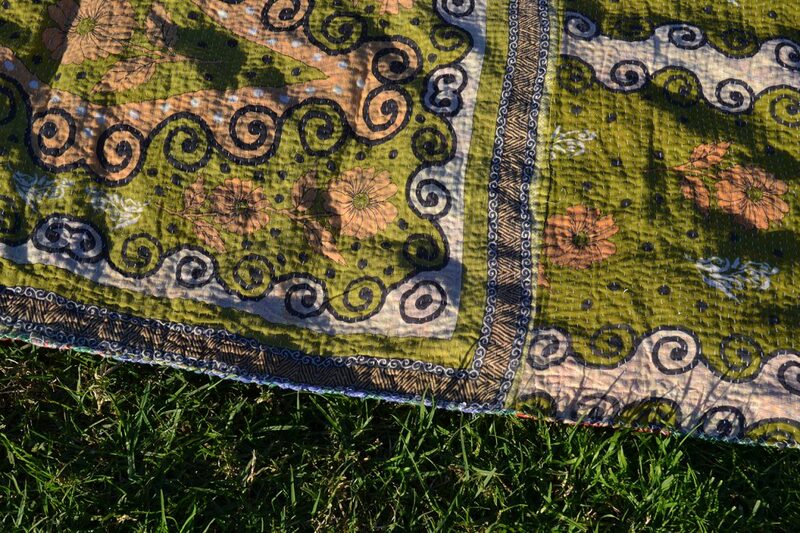 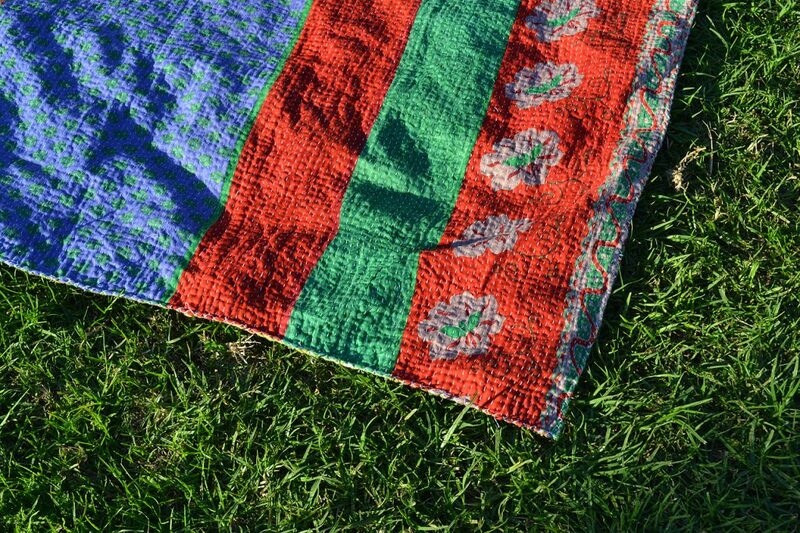 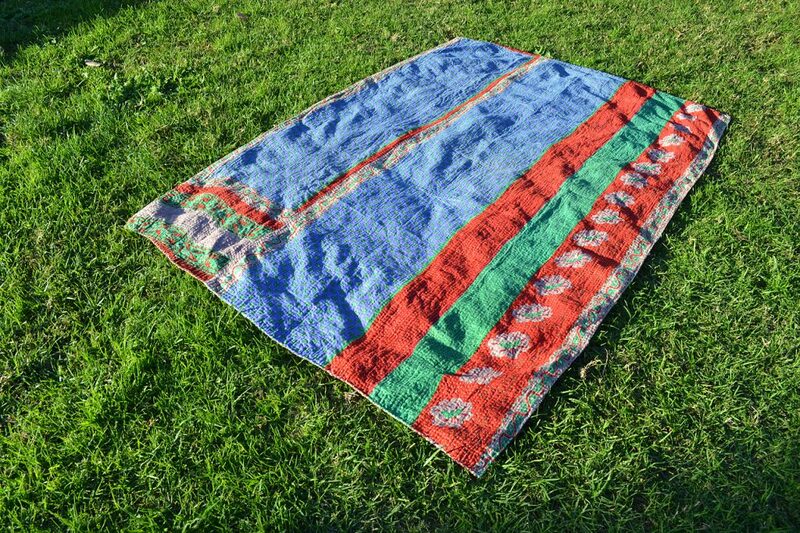 Beautiful swirly floral vintage print in olive and peach with blue, red and green vintage saree cotton on the reverse give this kantha throw a lively, fun and happy vibe. 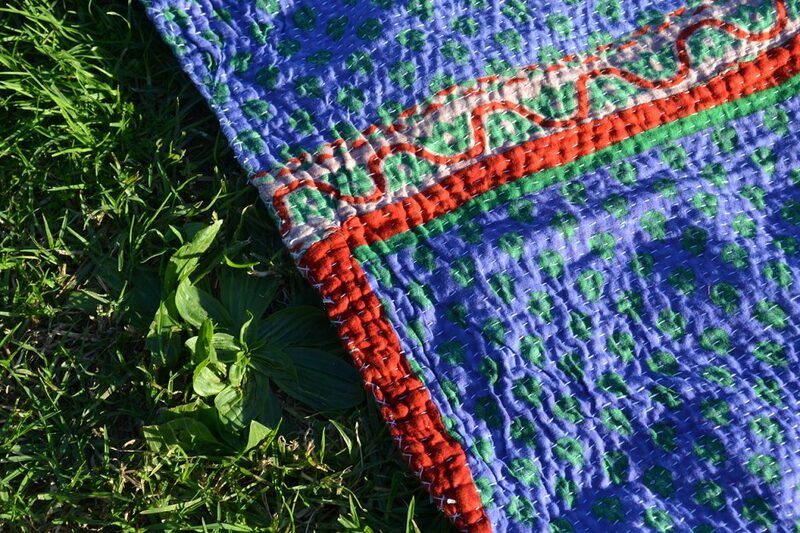 A very colourful and vibrant embroidered patchwork quilt that works well as cotton quilt bedding, beach throw blanket, picnic rug or simply a throw for the couch or bed to add some lively pattern and colour! 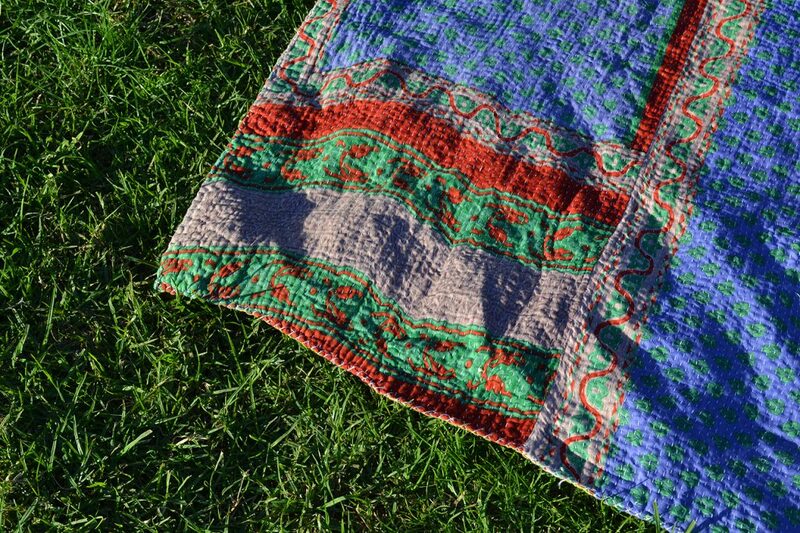 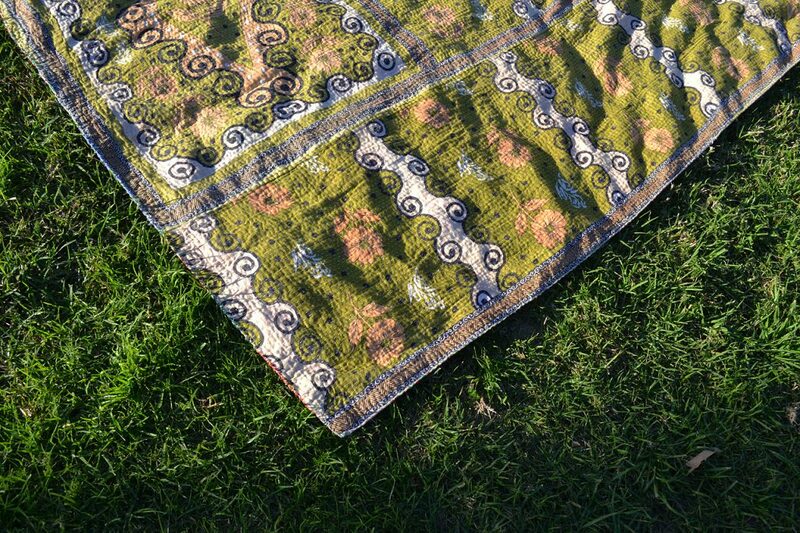 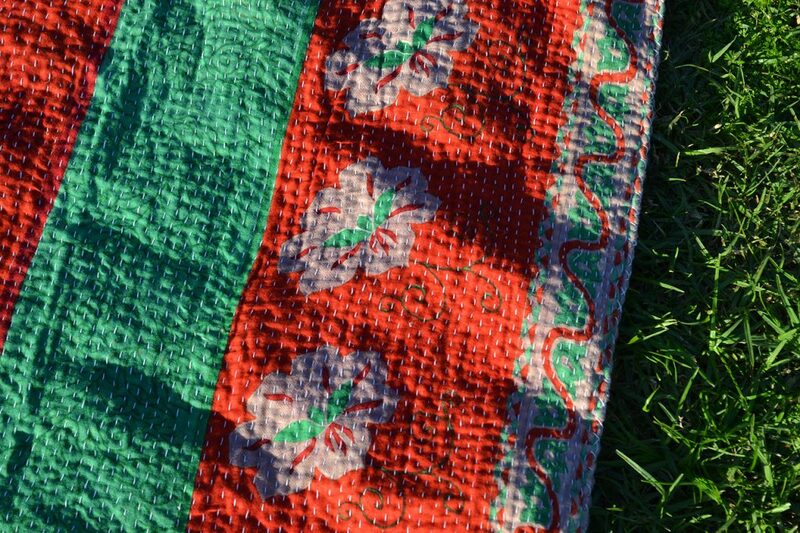 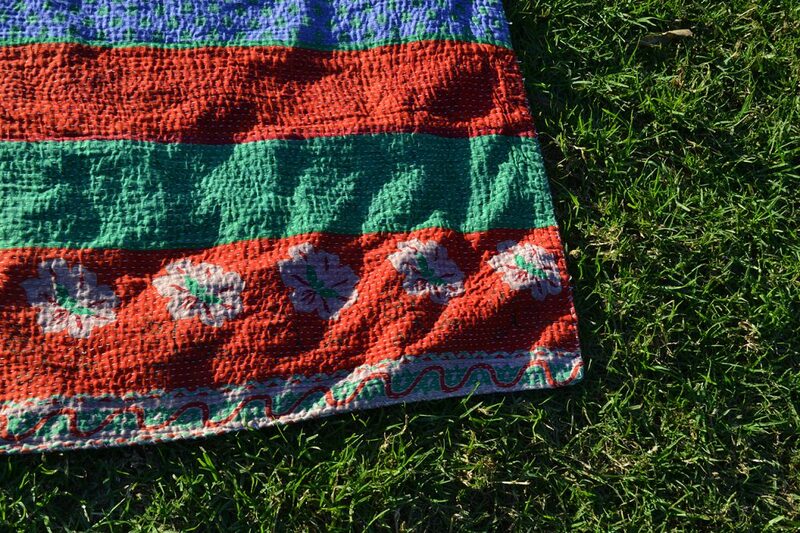 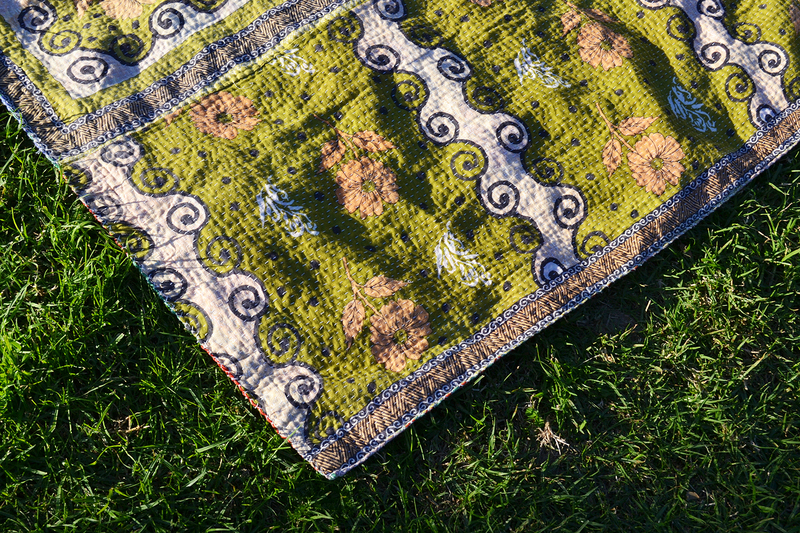 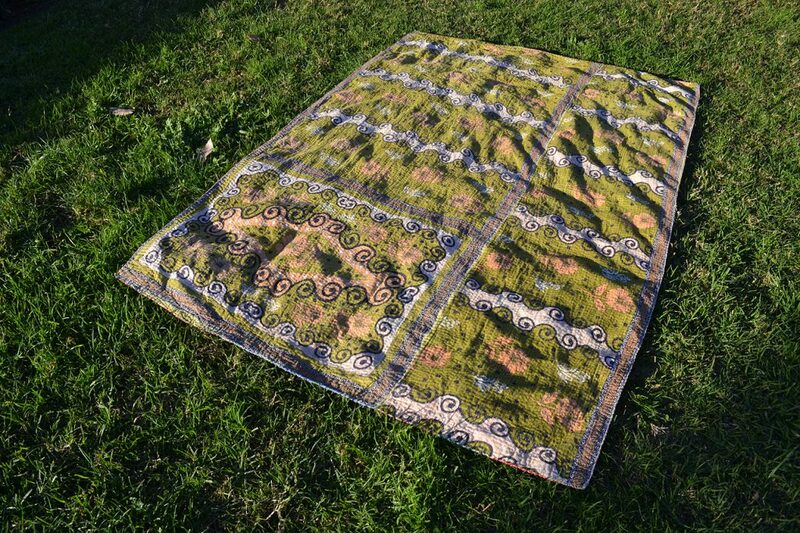 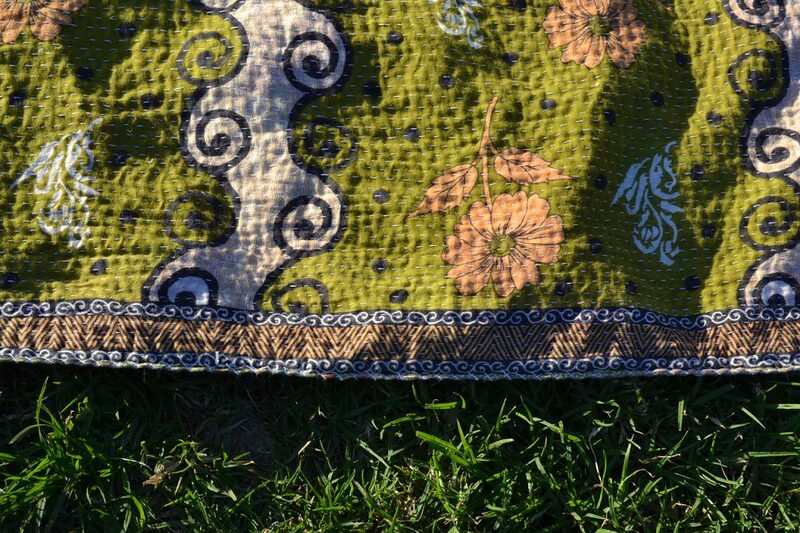 GUPTA is available now at The Kantha Project shop.